Northwest University (NWU), Kano (now Yusuf Maitama Sule University Kano) UTME, Direct Entry First [1st] and Second [2nd] Batch Admission List of Candidates Offered Provisional Admission for 2018/2019 Academic Session. This is to inform all applicants of the Northwest University, Kano that the UTME and Direct Entry admission list for the 2018/2019 academic session has been released. The released admission list are currently the Merit Admission list of candidates offered admission into the Degree Programmes of the University via UTME and Direct Entry. Candidates are to follow the steps outlined below to view admission list. Kindly Visit NWU admission status checking portal via http://nwu.edu.ng/screening/putme_nwu/utme/ (for UTME candidates) or http://nwu.edu.ng/screening/putme_nwu/de/ (for DE candidates). Enter your JAMB registration number in the required column and click ‘Continue’. Click on Admission Status to confirm your admission status. Recommended: Northwest University (NWU) Registration Guidelines 2018/2019. 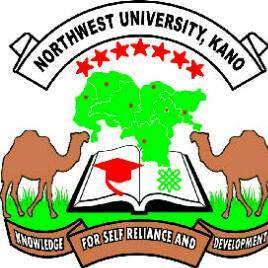 Congratulations to all Students admitted to the Northwest University, Kano.